Normally I wouldn’t protest Ms. Love Hewitt’s choice of movie role. But right now, there seems to be a disturbing trend in the media, from The View to Lifetime to just about every media channel I turn to. The trend is to depict the entire profession of massage as prostitution. Think about it, what if other professions were used by criminals to hide their real business dealings. What if prostitutes pretended to be interior designers or accountants and then professionals from these businesses had to prove that they were legit and not prostitutes. What if it became a trend for prostitution rings to set up shop as fake dentists offices? Would dentists then have to submit to fingerprinting and police background checks? Would Elizabeth Hasselbeck then joke on The View about being nervous when her husband goes into his office with a hot looking “interior decorator” to discuss “fabric swatches”? The recent Zoning change in the city of Chicago shows just how damaging movies like The Client List can be for the massage therapy profession. Few Hollywood movies or TV shows depict the massage profession in a favorable nonsexual light. Watching people get muscle pain relieved is not a big ratings draw, it seems. It’s not life threatening as in an Emergency Room drama. And Massage Therapy lacks the excitement of a forensic lab. Or does it? Hollywood is really missing out on the real stories, the real drama behind legitimate massage therapy. Instead of waiting until someone dies and trying to find the cause of death like on many police drama, Licensed Massage Therapists try to find the source of your muscle pain while you are still living. It may not be as interesting to watch, but if you have ever had chronic low back pain or neck and shoulder pain, finding relief for that pain is pretty darn exciting! 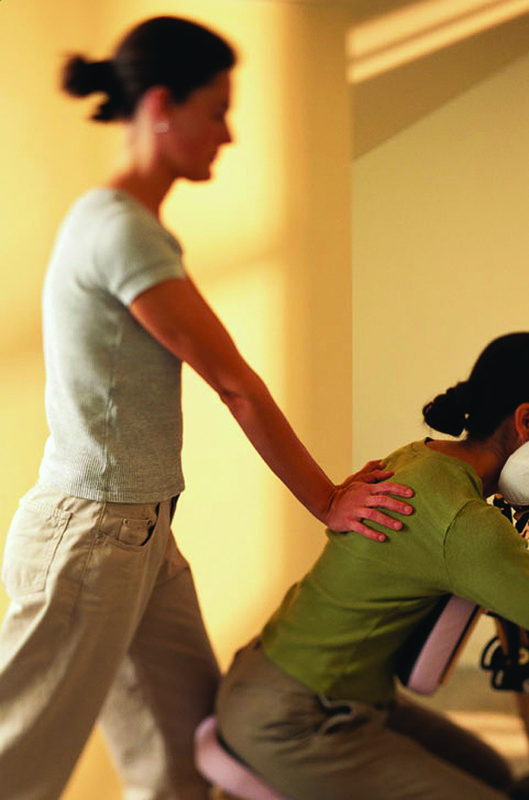 Legitimate massage therapist also give clients a safe place to relax from the stress of every day life. In the massage room or even the massage chair, massage therapy clients get a little bit of time and space that’s all about them. It’s the one time they get to be the center of attention. Getting a massage is one place where you can talk about yourself, have someone attend to your aches and pains and literally get a break from stress and demands for your attention. In some ways I do blame myself for Hollywood’s insistence on showing sensationalized sexual massage versus healthy but boring legitimate massage. I blame myself because, if I had followed a different dream and gotten my MFA in creative writing, I could have written a lot of great scripts about the world of massage! But then my clients would still be in pain and I would not have had the benefit of helping many people over the past ten years to recover from muscle tension, pain and stress. Which is the real story about massage therapy!